If you are coming to London, make the most of your visit by choosing to stay with us at Carlton Court. We are the leading provider of luxurious serviced apartments located in the heart of the city in Mayfair and our array of gorgeous bespoke apartments include 1, 2 or 3 bedrooms. When you stay in our boutique building we offer on-site management and a 24/7 reception, so we can take care of your every need. Whether you are visiting London alone or with your family, our apartments are designed to impress and relax you. If you have the choice of a lavish, large apartment, why would you choose to spend your time in a cramped small hotel room? At Carlton Court, our apartments come with separate living and dining areas, fully-fitted kitchens, en-suite bathrooms with power showers, and a lot more. The apartments are furnished and decorated to very high standard to give you the fell of a home from home. 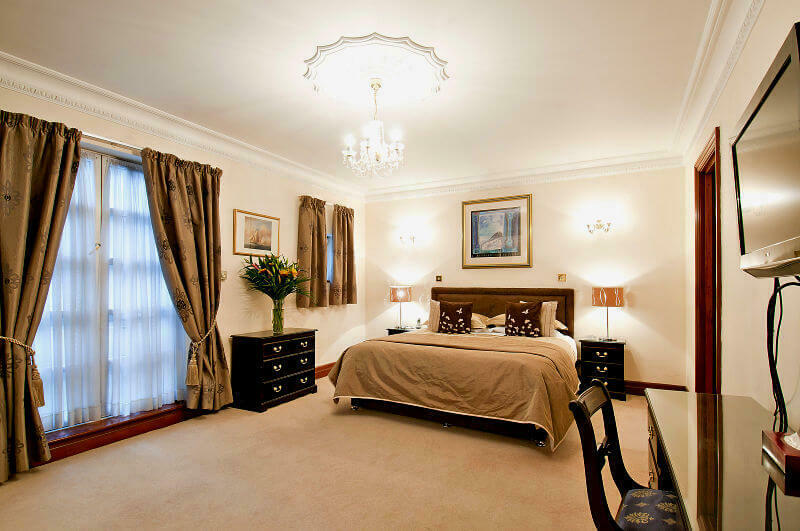 Our serviced apartments in London UK provide you with the space and privacy that you want. The service we offer is second to none, we want you to wake up relaxed and refreshed every day of your stay with us, and that is why all our services are included at no extra cost. At Carlton Court, we offer all our guests a complimentary breakfast hamper every morning, so you can start the day as you mean to go on. If you did decide that you wanted to cook at any time during your stay the kitchens are equipped with all the latest appliances to help you prepare a relaxing meal. Once you have finished your meal you can relax in the spacious lounge area on one of the plush sofas listening to your favourite music or using the Free WiFi, or watching full sky HD channels in a choice of languages, all at no extra cost. We also provide a concierge service, who is there to help arrange anything you want, such as reserving a table at your favourite London restaurant or getting tickets for a music concert etc. Allow Carlton Court to make your holiday memorable and invigorating. Call us today.